Comprising a good chunk of BT12, this week I focus on investment properties in the Donegall Road area, up to and including what’s commonly known as the ‘village’ – the streets in and around the bottom of Tate’s Avenue. It’s an area of South Belfast previously characterised by a predominantly loyalist, working class population. Over the past 10 to 15 years, the demographic has diversified, with people of many different cultures and backgrounds living harmoniously together in what’s becoming a vibrant, thriving pocket of the city. We currently manage about 50 properties in that area for investors, and recently agreed sales on three. People are realising that often for less than £50,000 you can get a house in South Belfast with good access to the Boucher Road, motorway, hospitals and city centre. Rental properties in this part of South Belfast range from ‘two-up, two-down’ houses, to HMOs (houses of multiple occupancy), and 1-bed apartment conversions. The corner houses lend themselves well to conversion to two flats (subject to planning). A good example in the market right now would be 216 Tates Avenue, on the market for £65,000. If you spent £30,000 converting that into two apartments - giving a total outlay of £95,000 - and got £450 per calendar month in rent for each of those, that’s a total rental income of £10,800 per annum. That’s an 11.36% yield and works out as 8.79 years to make your investment back. These properties are all gaining popularity with good tenants who want better value than the perhaps-more-fashionable Lisburn Road. There is great demand for smaller units with double glazing and gas heating – tenants are looking for clean, fresh accommodation with low bills. With Belfast city centre thriving - big companies and local universities all investing and recruiting - there really is only one direction for investment property in South Belfast – and that is up. My very top tip for landlords and investors in this area is to keep an eye on the three big high-rise tower blocks of flats off Broadway. Tenant demand for those type of properties would be huge if they were to come on the market – and hopefully they will, eventually. As ex-Housing-Executive flats, they’ve been built spaciously; a good refurb would turn them into lovely homes. With the close proximity to the hospitals and the factories and retail outlets on the Boucher Road, you’d have your pick of young workers looking for a decent flat to rent in South Belfast. Some good current examples in nearby tower blocks of similar size and age include 8a Riverdale House, Dunmurry, on the market now at £44,950. At a rental income of £420 per calendar month, that’s £5040 per annum – that property would offer a yield of 11.21%, taking 8.91 years to pay for itself. Anything under 10 years is good, as a rule of thumb. Another is 6a Coolmoyne House, Dunmurry, priced at £47,500. Again, that could fetch a monthly rental income of £420, giving a yield of 10.6% and taking 9.42 years to pay for itself. 12D Parkdale House is also on the market for £49,950. At £420 monthly rent, that would take 9.91 years to pay for itself, or a rental yield of just over 10%. A £100m scheme proposed for this area has to date seen a number of streets razed and rebuilt – e.g. Lower Rockview Street. The original houses were built in the post-industrial era, and only intended as temporary worker accommodation. Functional, almost “hard architecture” structures, there was no outdoor space and psychologically, cramming people in like sardines inevitably leads to social problems. What’s there now could not be further from their predecessors. There’s additional parking, more space – the area is just delightful. From an investment point of view, the wise investors are getting in now because there’s only one direction prices and demand are going to move – and that is up. 12 Matilda Avenue has an asking price of £54,950. At an estimated £600 in rent per month, that’s a yield of 13.1%, repaying your outlay in 7.63 years. The vendors of 34 Benburb Street are asking for £48,000. After a decent refurb, that could fetch £600 in rental income every month and pay itself back in 6.66 years, a great yield of 15%. This would be our star pick of the investment opportunities in the area this month. It’s a two-up two-down that’s close to town, with great parking but no through traffic – a great investment buy. Properties here have been built relatively recently by the Housing Executive and Housing Associations, so they’re good quality structures. They prove very popular and are that little bit closer to the city centre than other areas. It’s easy to predict what will happen in the city centre over the next few years – moving Jordanstown into the centre of Belfast is a key indicator of prosperity – so properties in and around Sandy Row can only climb in value. It’s a natural choice for the young professional looking for city life in affordable, quality rental property. Plenty of commercial properties dying to be redeveloped, for example - 118 Sandy Row. It’s on for £150,000 on a corner site, which lends itself well to multi-use development; definitely worth a look. 92 – 94 Sandy Row is on for £90,000 and there is definite redevelopment potential here too. But the pick of the bunch is 105 – 109 Sandy Row (3 properties). With lapsed planning for six apartments over two shops, it’s on for £100,000. A cheeky bid and you could end up with 8 properties, subject to planning permission. There is growing demand for higher end properties in the area, and it’s little known that properties in Maldon Court – just off the Donegall Road heading towards Broadway - have been going for upwards of £100,000. It’s an almost-hidden development of townhouses and apartments.Once you start to see the first ‘green shoots’ of gentrification - artisan coffee shops and independent bookshops in the area – you’re too late. Those green shoots are on the way, so smart investors are writing those cheques now; it’s a well-established area, but with still some way to grow. Two properties changed hands in Maldon Court recently – numbers 7 and 9 – going for £79,000 and £79,500 respectively. £500 is a conservative estimate for monthly rent potential, and this is an example of a property that’s a bit more ‘des res’, so offering a slightly lower yield. £6000 rent per annum, so around 12.5 years and 13.25 years respectively to pay for themselves. I can see how an investor might rule those out, but someone who want to live there one day might rule it in. With an eye on future development, they might see how these properties are likely to be setting an early standard for an area whose star is on the rise. We are just about to agree a property which we think has development potential – 17 Empire Drive, which we are just about to agree at £45,000 subject to contract. 224 Tates Avenue is a commercial property offering some really exciting property investment potential in South Belfast. It’s on the busy Tates Avenue beside four or five established shops. A complete brownfield development site, and it’s bigger than the existing units on the site. Offers in the region of £69,950 and it comes with outline planning permission for four commercial units. We think the right developer would spend about £100,000 turning that into 3 smaller units on the top floor and a shop on the ground floor. We’d estimate a £1600-a-month income, which is a yield of 11.29%. Kingston Berkeley have 87a Tavanagh Street on the market – it’s a one-room ‘lean to’ property, currently on for £8950. Subject to planning and an investment of about £10,000, I think anyone with a penchant for micro-homes should look at this. You could get a one-bed home on that site, we think it’s just about possible. Paying for itself in 4.61 years, monthly rental income of £360 and a yield of nearly 23% could be up for grabs if you’re willing to take that gamble. If you want to pick my brain, or have a chat about investment opportunities in Belfast, get in touch. 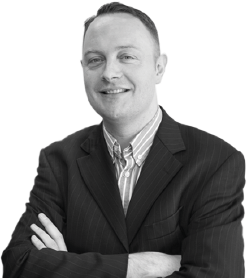 Hi, I'm Barry Corscaden and I've worked in Residential Lettings, Sales and Property Management for 20 years during which I have spent a lot of time sharing my thoughts and insights on the property market in Belfast. I have two decades' experience in letting homes to thousands of people. I've learnt that new, experienced and aspiring landlords alike appreciate honest, practical investment, sales and management advice, and I'm always happy to provide it. So I have decided to write a blog. 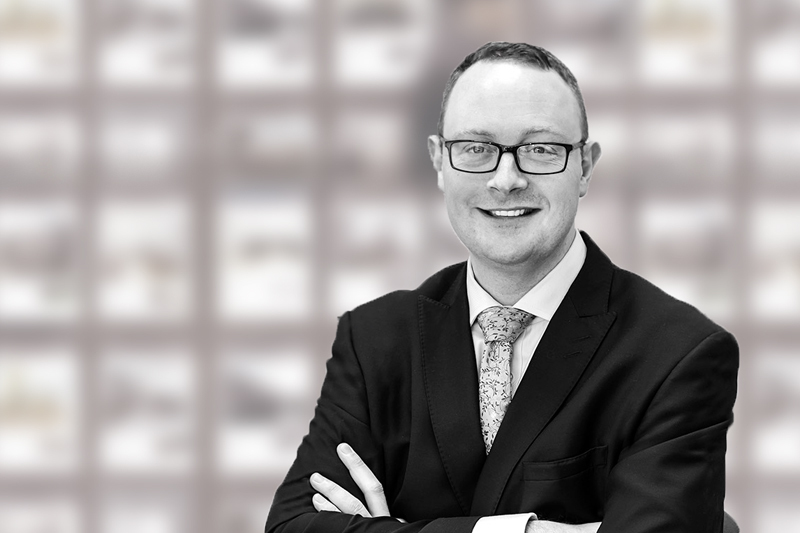 Every week I will bring you investment advice, landlord Q&A with an expert member of my team, and all the market information, insights, news and views a landlord could need to get the most out of Belfast's thriving, dynamic residential sales and lettings market.